How wide should I make my primary pathway? Primary pathways should be wide enough to accommodate intense pedestrian and wheeled-toy traffic, helping children stay on the pathway and pass each other without conflict. 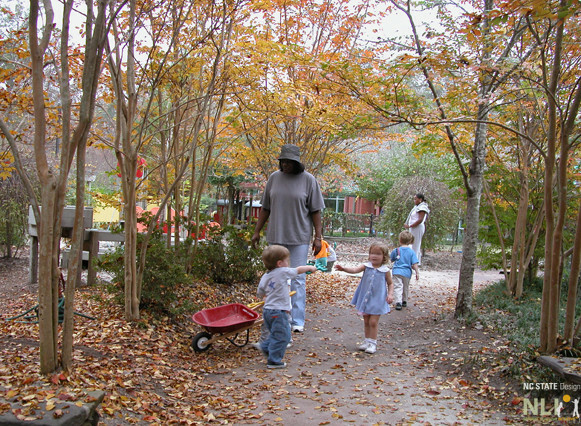 In our experience, primary pathways within preschool outdoor learning environments should be a minimum of 5 feet, with a preferred width of 6 feet. 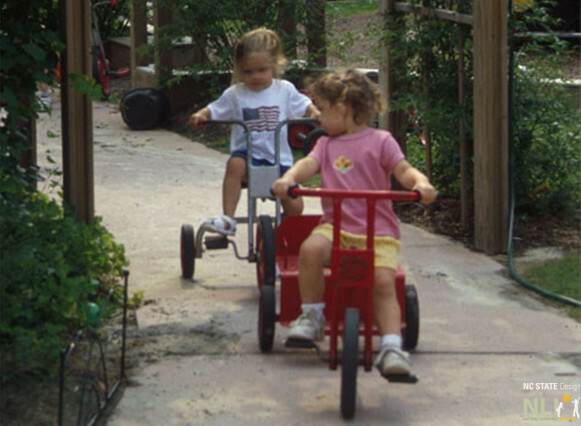 Primary pathways within infant and toddler outdoor learning environment can be narrower (4 feet minimum), because the children are smaller and do not move through the environment as quickly. Two children on tricycles play follow-the-leader. Autumn leaves add a splash of color to the primary pathway and connect the children and teachers to the world beyond. 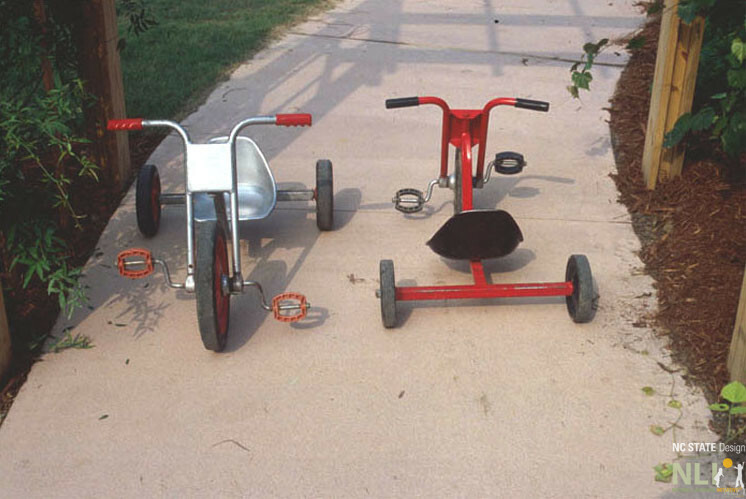 Two tricycles sitting side by side demonstrate the need for 5′ wide primary pathways in preschool outdoor learning environments. A shaded primary pathway affords a game of chase.